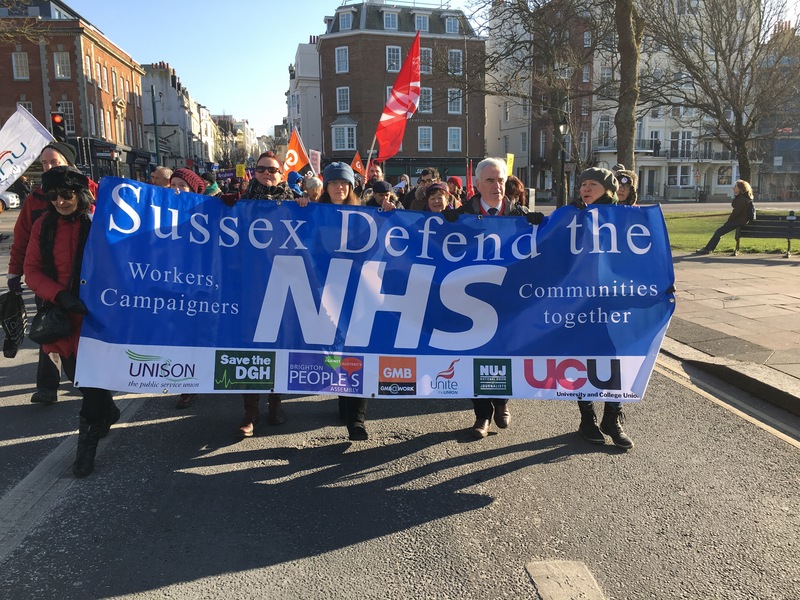 A number of branch members joined the march organised by Sussex Defend the NHS and Brighton and Hove Trades Council. 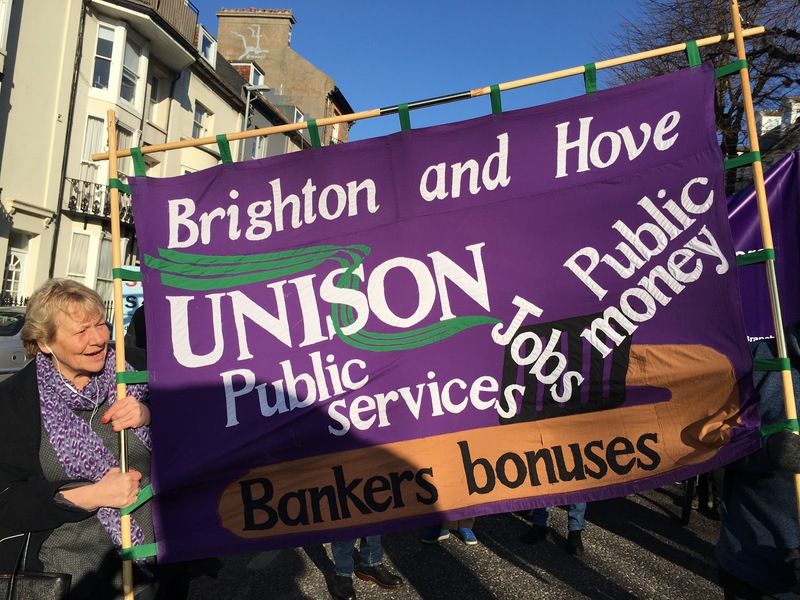 As the photos and below show, the branch banner was very much in evidence. At the end the nearly 1000 marchers heard Shadow Chancellor John McDonnell make an impassioned defence of the NHS. 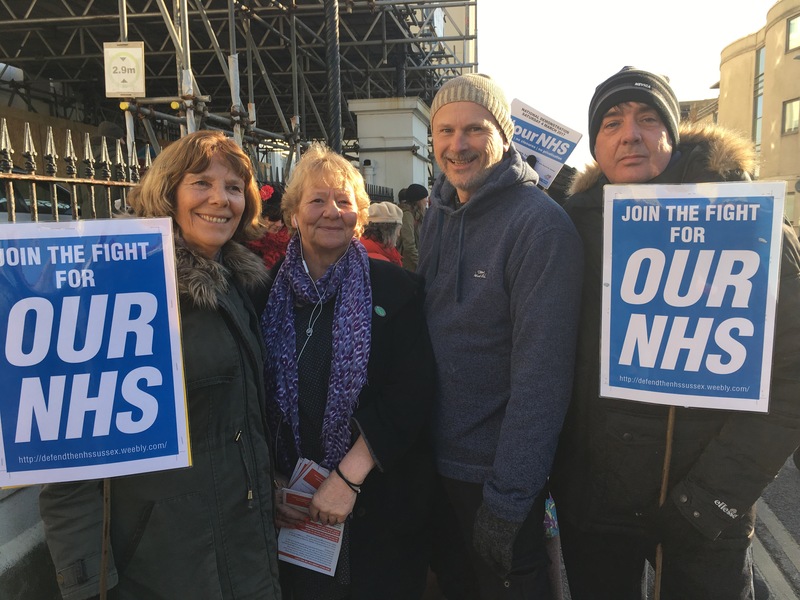 A message from Caroline Lucas called for unity between all who wanted to save the NHS.